Are you an employee of Girl Scouts? We're 2.6 million strong—1.8 million girls and 800,000 adults who believe in the power of every G.I.R.L. (Go-getter, Innovator, Risk-taker, Leader)™ to change the world. We’re the preeminent leadership development organization for girls. 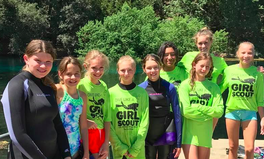 And with programs from coast to coast and across the globe, Girl Scouts offers every girl a chance to practice a lifetime of leadership, adventure, and success. 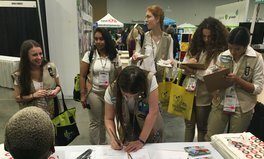 Global Citizen and the Girl Scouts share a vision of a world where every girl can go to school. Together, we can improve conditions for girls and women everywhere by standing up against human trafficking and violence against women and girls. We fight for quality sanitation, STEM education for girls, and economic self sufficiency for all women.